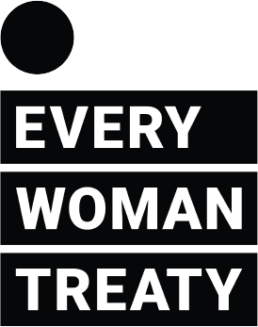 Everywoman Everywhere Coalition member Lilly BeSoer, Papua New Guinea, wrote those words after attending a gathering of coalition members in New York City. Members who were in town for the annual UN Commission of the Status of Women were meeting to say hello. But what was expected to be a coffee meeting became a powerful cry of global unity for a treaty. “Members shared stories of the trial and tribulation that had brought them there, spoke of the collective power we have built with this global coalition, and how ready, willing, and able they are to fight this challenging fight,” said executive director Vidya Sri. Below are a few highlights from members who spoke. Longtime peace activist Khedija Arfaoui of Tunisia held a picture of her son and daughter-in-law and told the group that the two were killed in the nightclub attack on New Year’s Eve in Istanbul. She described their deaths as an “earthquake,” yet her message was one of resolve. There is pain and challenge, but we cannot afford to lose faith, she said. I have lost my child, have seen the length and breadth of obstacles over the last 40 years, and still I stand her with all of you. 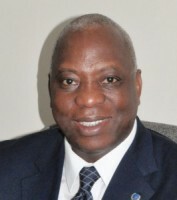 Dr. Morissanda Kouyate, a Guinea-born pediatrician now heading the Inter-Africa Committee on Traditional Practices. It wasn’t that long ago that the world gave little thought to the violence of FGM, female genital mutilation. No one wanted to take a meeting, no lawmaker wanted to talk. Yet with persistence, legislation was passed. Today, FGM is a crime in multiple countries in Africa. We were knocking on doors, knocking doors and we must keep knocking. 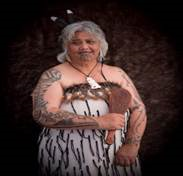 Caroline Herewini has been working for more than 20 years to aid her indigenous Maori community in New Zealand. She captured the spirit of our collective effort when she spoke of the treaty reached between the British and the Maori long ago. She explained that before she speaks, she pays respect to her ancestors, and that history roots her in the present. Similarly, working with respect to existing cultures and beliefs, as we are with this treaty, paves the path for peace and productivity. She noted that when the visitors came from the UK long ago, they were pulled into the existing legal framework of the Maori people in New Zealand. The local law was part of the agreement with these guests and the treaty was an agreement between equals. Equality, respect of culture, and working together are essential, Caroline emphasized, adding, we have proverb: “He aha te mea nui o te Ao”? He Tangata, He Tangata, He Tangata! What is the greatest thing of all? It is people, it is people, it is people! The gathering had a motivating effect on all of us. It reminded us we are in this together and wanted to share that thought with all members by including a sampling of emails members sent to executive director Vidya Sri after the event.